Durum wheat: price or quality? After the inflation flare-up at the beginning of 2016, last year the quotation of durum wheat decreased significantly. According to Ismea estimates, the average price during the period from July 2016 to February 2016 was equal to 194.03 euro per tonne which is a -30% decrease compared to the same period during the previous campaign. Prices decreased, commented Ismea, also because of the growth in the 2016 Italian offering, which exceeded 5 million tonnes (+15% over 2015), thanks to an increase in land (+4.1%, 1.4 million hectares) and especially to the yields (+10%, 3.6 tonnes per hectare), which were helped by the favorable climate conditions registered during the cultivation cycle. In regards to the quality aspect – based on the monitoring by Crea QCE of the storage facilities – compared to the 2015 harvest, an increase in protein content has been registered for the durum wheat (+0.7% to 12.28% s.s) and a slight drop in the standard mass per storage volume (-0.5% to 81.09 kg/hl). The question remains unanswered though is: price or quality? With the supply chain agreement between cultivators and pasta makers, many steps were taken in the redevelopment of the local grain production but the uncertainties with regards to the availability, volumes, and on the level of quality of the raw materials remain and fuel the tension between farmers and the industry. On the imports front, during the period from January to November 2016, there was a significant improvement in the deficit of the commercial balance caused by the strong reduction in the average price, in view of a substantial hold on incoming volumes. According to Ismea, the world’s supply of wheat (both soft and durum) in 2016 reached 752 million tonnes (nearly +2.2% from 2015). All of the main producing countries had an increase in yields, except certain areas of the EU and Ukraine, and especially of durum wheat (+2.8%, 40 million tonnes) against the substantial stability of soft wheat (+0.2%, 712.3 million tonnes). The timeline for the approval procedures of the Mipaaf (Ministry of Agriculture, Food, and Forestry Regulations) regulation project on the indication of the origin of the raw materials on the pasta label for both semolina and durum wheat is unclear, following the notice from the Ministry to the European Commission last December. The set trimester granted to the other European Union countries for the eventual examination and objections expired at the end of March. This is except, if the proposed norms cannot be applied to either the pasta produced in other European Union countries nor to that which is destined to exportation given that the labelling norms that need to be respected are placed on the markets of destination. In exchange though, at the end of February, the Canadian association of durum wheat producers officially expressed their concern towards the Italian law. They fear that a possible side effect could be the decrease in the quotations of durum wheat cultivated in Canada seeing as Italy is the main market for the Canadian production. As we know, according to the draft drawn by Mipaaf, labels for pasta must note the country of origin for the semolina (which in fact is the same as the country where the last step in the processing takes place), as well as the origin of the durum wheat. If the two countries are the same, it’s possible to simply write on the package, “100% Italian durum wheat and semolina”. In the case of a mix of origins, it’s possible to complete the description of information by writing “EU” or “Non EU” as is done with other products such as olive oil. The indication of the origin of the raw materials on the label, says Riccardo Felicetti, president of Aidepi pasta group, has a use only if it becomes an added and true point of strength for anyone that buys our pasta. 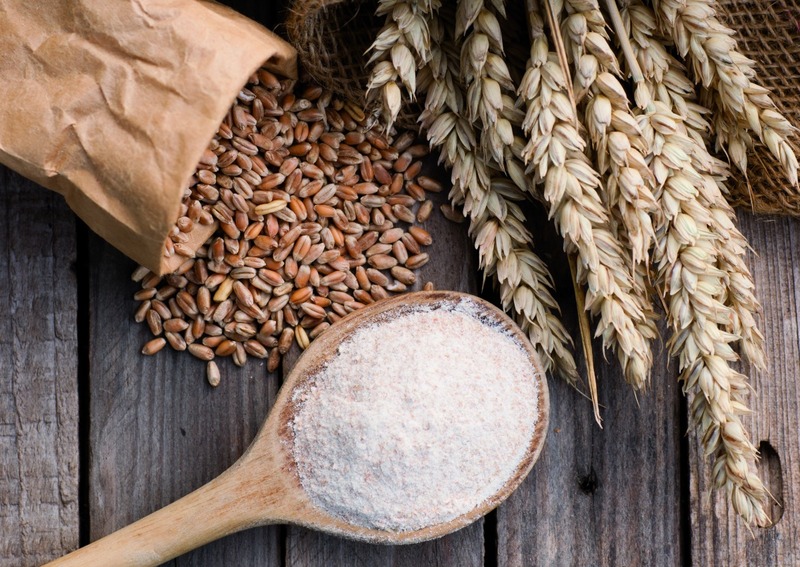 Some companies already indicate the origin of their durum wheat, as well as other grains, without having to, but simply to strengthen the perception of their products. The issue is another one: besides the level of quality, the volume of durum wheat produced in Italy is not sufficient to meet the production needs of the mills and pasta makers. If we insist on making a distinction based simply on principle between 100% Italian durum wheat and a mix between local and imported, we risk creating two markets which are in some way artificial because there isn’t a real qualitative difference between the two. It wouldn’t be correct to allow consumers to believe that premium pasta is always and only that which is produced with Italian durum wheat. It’s also necessary to keep in mind the quality testing and evaluations done on the wheat carried out by laboratories from both public entities, as well as from companies. In the end it also depends on the strategy of individual companies, the choice to choose one path over the other, or to follow both. Therefore the solution is to overcome the misunderstandings between the players in the industry and to work together, with projects and a sense of responsibility in order to increase the quality and production without ‘criminalizing’ the producers of pasta and imported wheat.